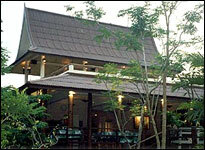 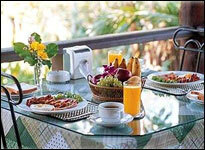 - Breakfast charged at Baht 220 extra per day. 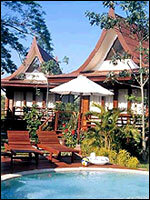 A small village of pleasant 19 Thai houses amidst beautiful tropical trees and gardens, adjacent to two sparkling blue swimming pools. 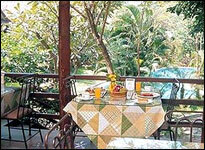 The smooth sandy beach along the peaceful emerald sea, is only a 150 metres away. 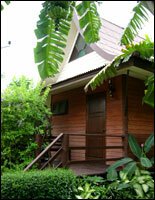 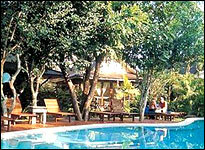 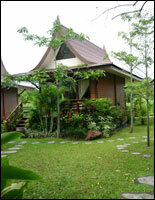 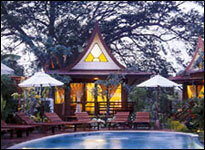 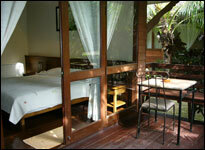 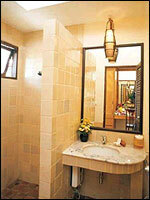 Our air-conditioned cottages are equipped with refrigerator, hot & cold showers, king-size bed and wide balcony.